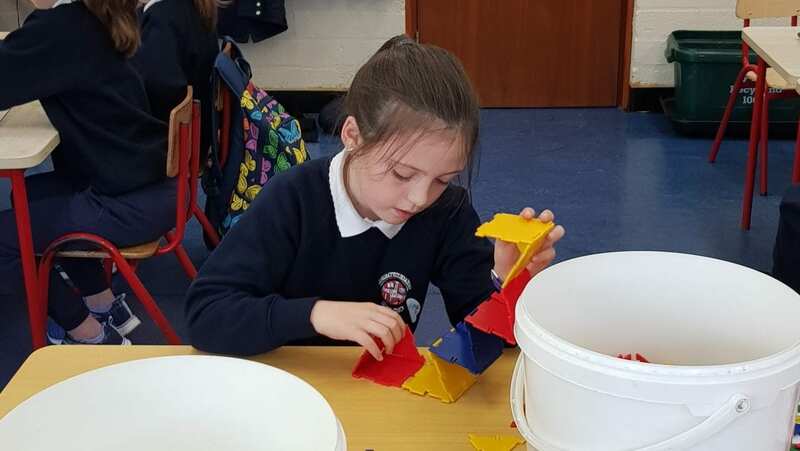 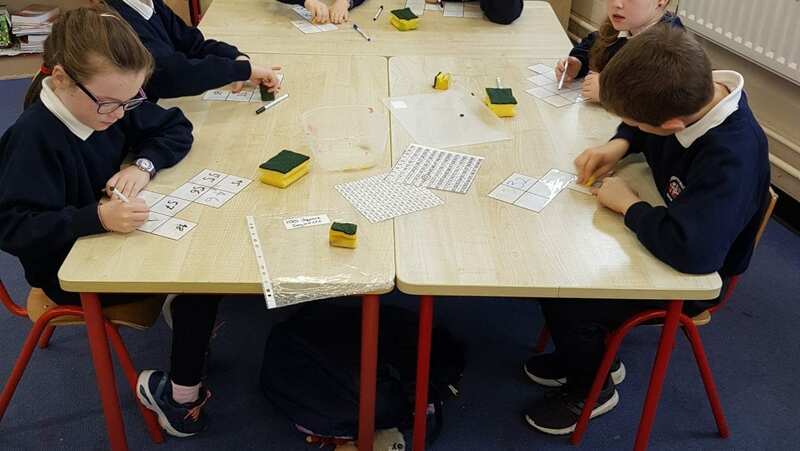 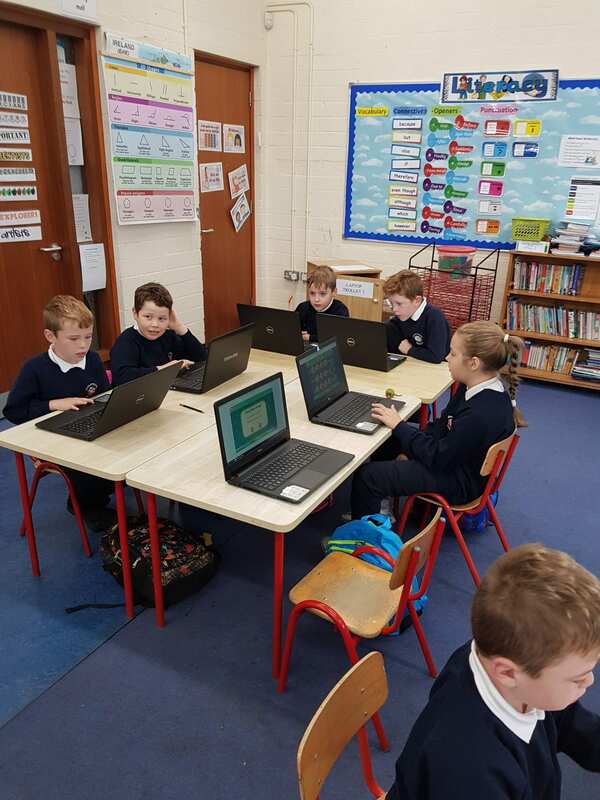 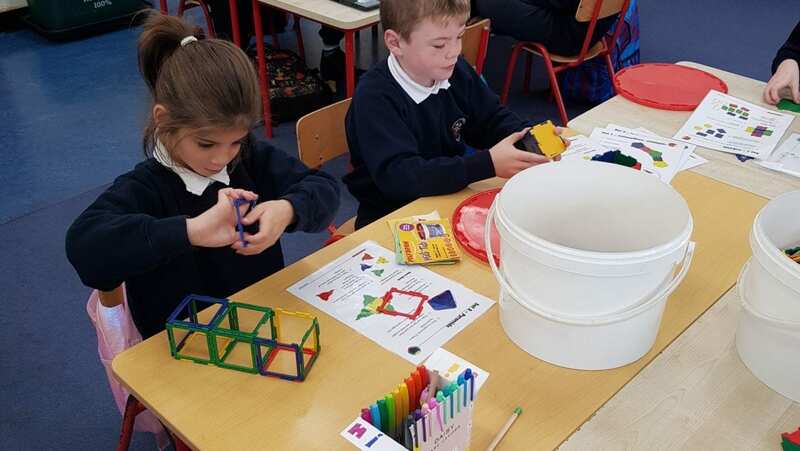 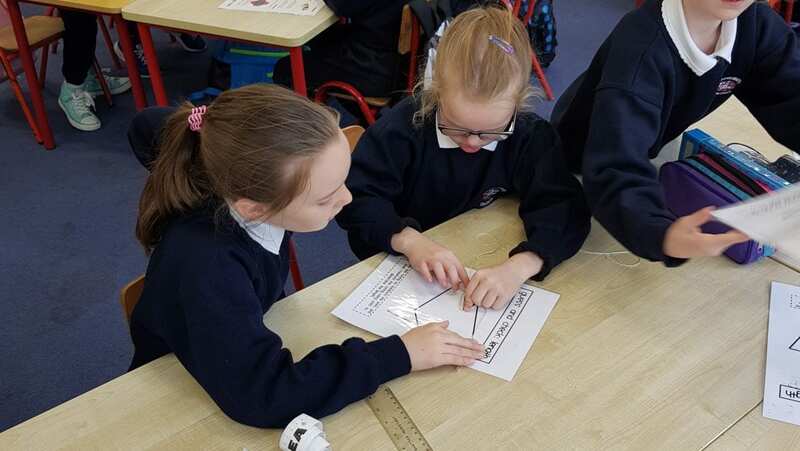 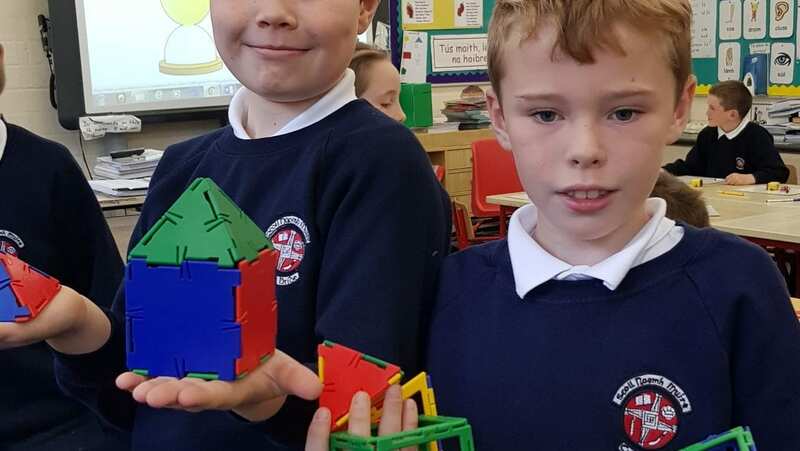 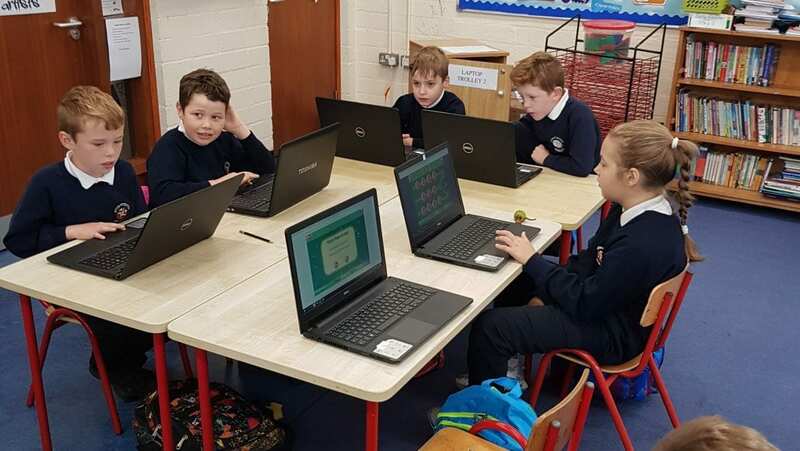 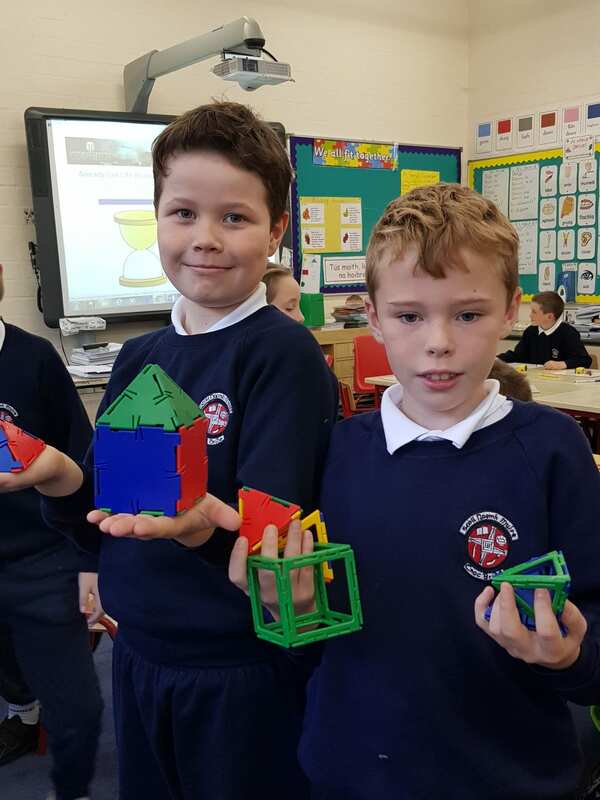 Over the last few weeks 3rd Class have been doing great work in maths, revising all their work from last year and trying out some trickier work this year. 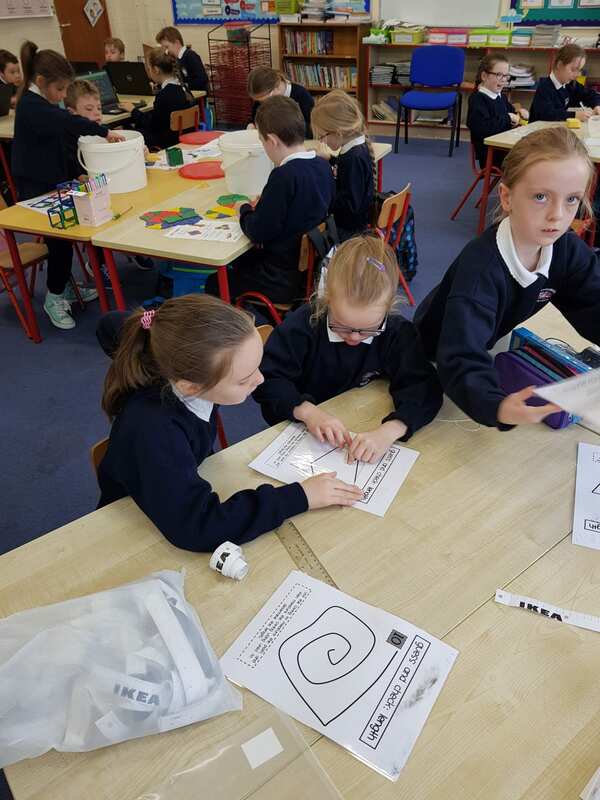 We have started maths groups with Mrs Evans. 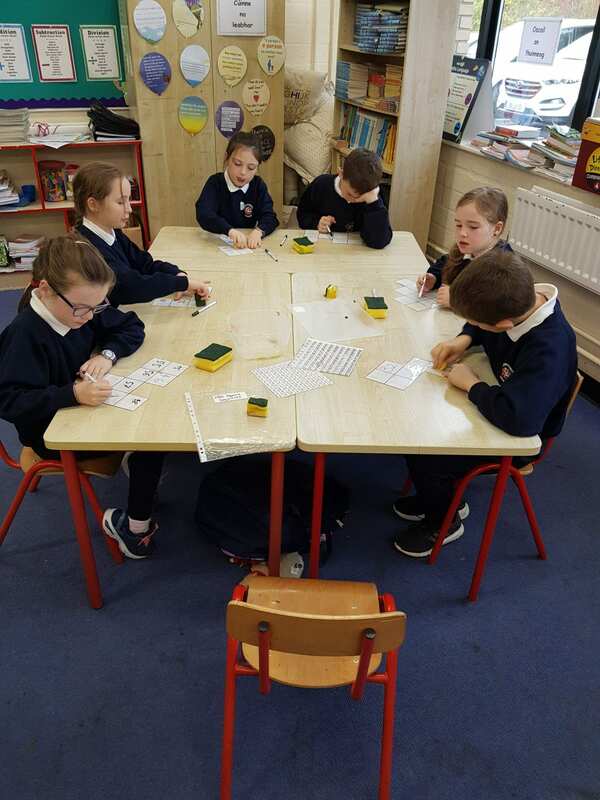 Our favourite thing however, is our maths stations. 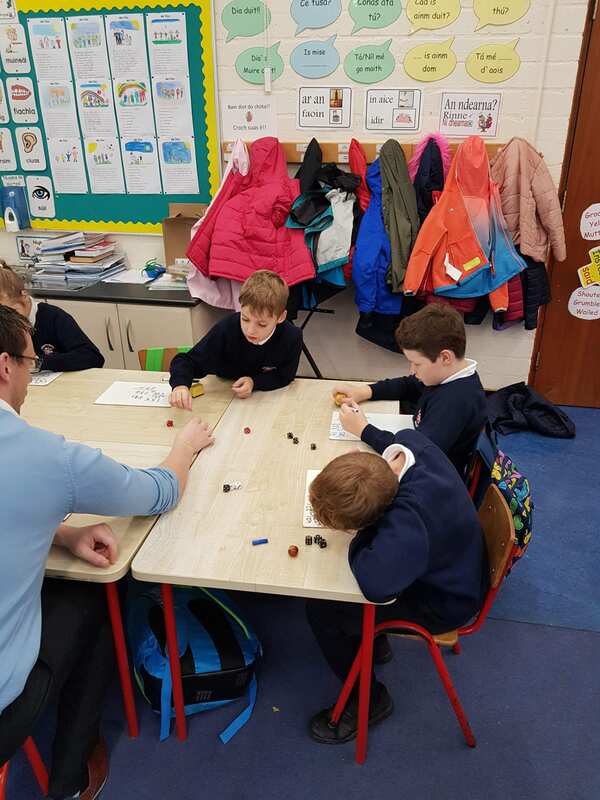 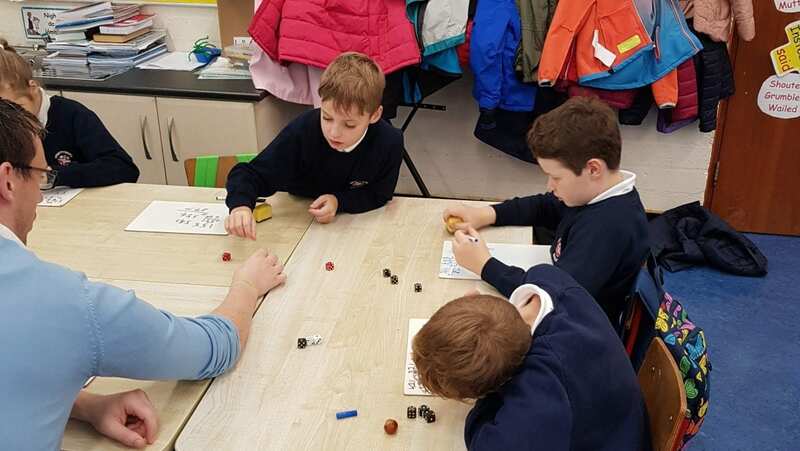 Every Wednesday morning we do maths stations with Mrs Evans and Mr O’Connor. 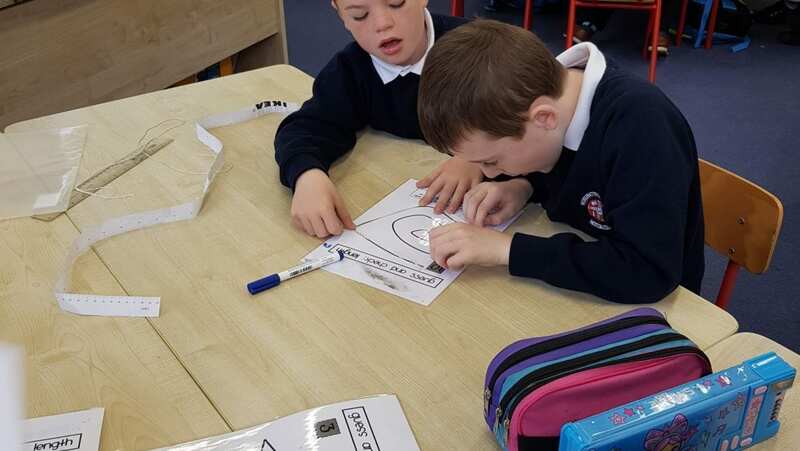 We really enjoy this as it gives us a chance to practise some of the tricky work we have learned during the week. 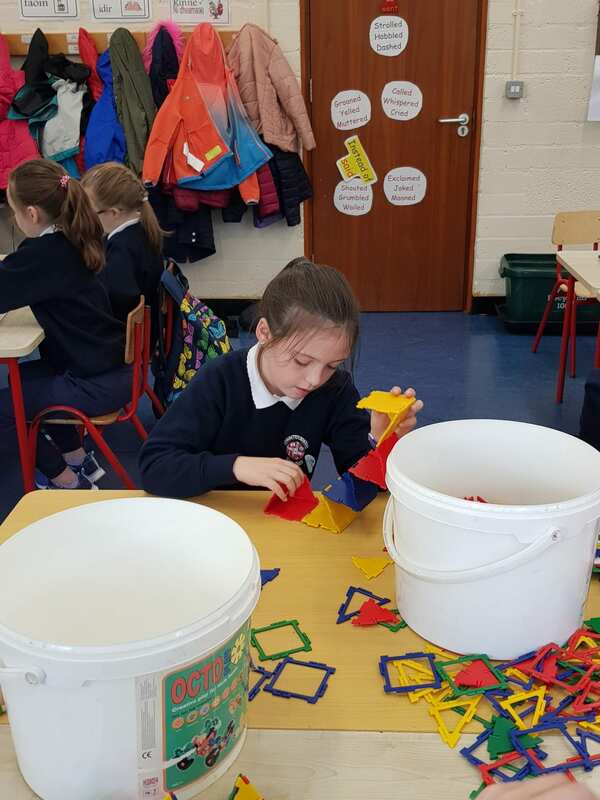 Plenty of fun while learning!! 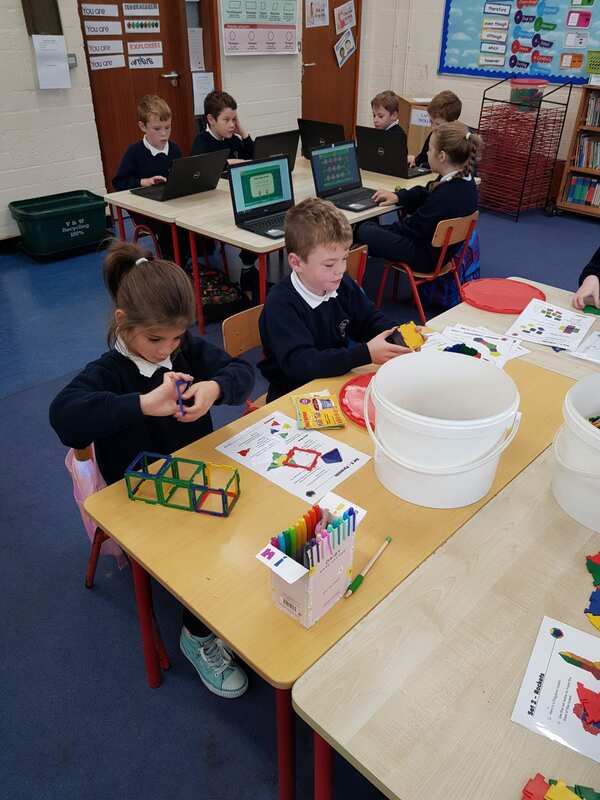 Last week we had 5 stations and we all got a chance to work at each station for 10 mins, we were practising our addition and subtraction, estimating and measuring length, making 3D shapes. 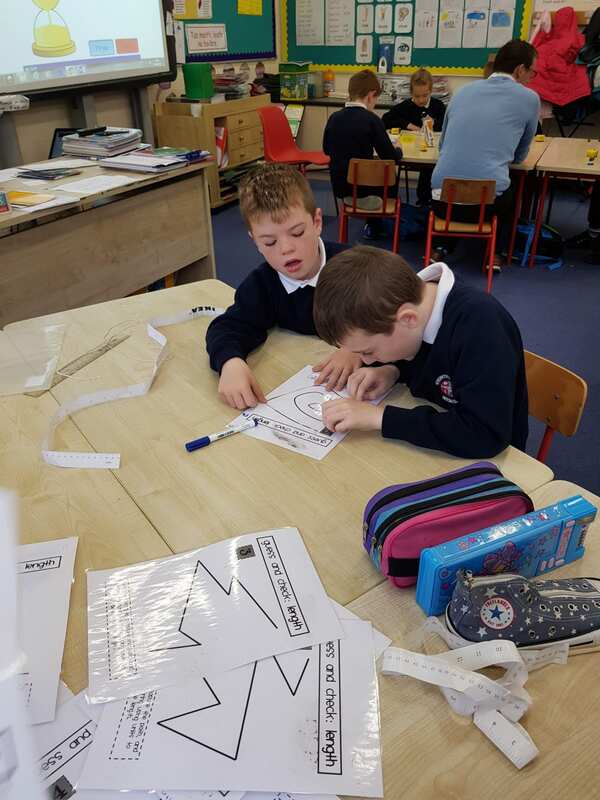 Over the coming weeks our stations will change according to the topics covered in class.